Welcome to Superheroes Central your one stop shop for all your superhero needs. 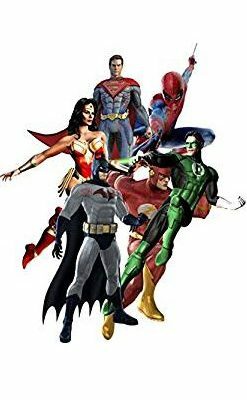 We know how much people love superheroes and all that they represent, and we have included a heap of background information of your favourite hero, and tracked down heaps of different cool superhero products like costumes, pajamas, posters and other great stuff. The idea behind Superheroes Central is simple, we love superheroes as much as you do, and we’ve taken the time to read the reviews of thousands of products so you don’t have too. What this site is about is letting people enjoy their favourite superheroes, whether it’s just if you want know a little more about their skills and powers, or whether you want to find some of the best and authentic superhero costumes out there. People of all ages young or old are welcome here, we are all united by or fascination, or in some cases obsession with our favourite superhero. It doesn’t matter whether they can fly, are super strong, turn invisible or wear a mask or have a cape we have something here for everyone. People have enjoyed Superheroes ever since Lee Faulk created the phantom way back in 1936, and it was only two years later that Jerry Siegel and artist Joe Shuster, having created superman, sold the idea to Detective Comics, the future DC Comics, and in 1938 Superman debuted in the first issue of Action Comics. And with milestones such as these, a whole new phenomenon was born, one which has spawned millions of comics and merchandise as well as dozens of television shows and feature films. There have been Superman movies since the 40’s and nearly a dozen Batman films, and Marvel’s Cinematic Universe is the hottest property right now combining iconic superheroes such as Captain America, Spiderman, Iron Man, Thor, The Hulk and so many more into one cohesive story line featuring the Avengers team. 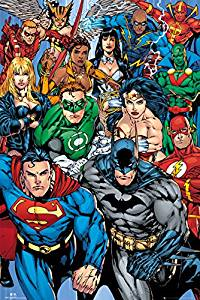 Not to be left behind DC has united their legendary Superman and Batman superheroes into a film and added the ever popular Wonder Woman, and are on track to create their own super team for the big screen Justice League which will also feature the Flash, Aquaman and the Cyborg. Right now superheroes are hot and it doesn’t look like it’s going to slow down anytime soon. 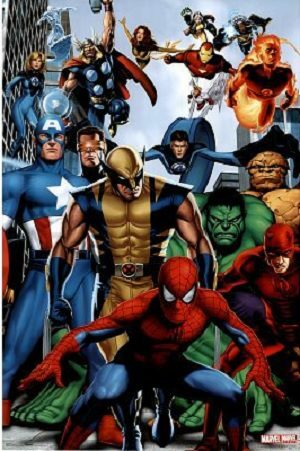 Whether you are team DC or team Marvel, like the Justice League or the Avengers, or have been reading about your favourite superheroes since you can remember or whether you are a new convert who loves the heroes on the big screen, you will find a large range of products available, and more then a little knowledge to share with your friends about your favourite superhero. There has never been a better time to be a geek, nor has it ever been such a source of pride as it is right now as superheroes have made their way into main stream culture as never before. So good luck and we hope you find something to bring out your inner superhero.